Premier Surgeons are recognized for their extensive expertise in IDEAL IMPLANT breast implant procedures. While all our surgeons must be board certified plastic surgeons, when you choose a Premier surgeon, you’re in the capable hands of one of the most experienced IDEAL IMPLANT plastic surgeons in the nation. New Jersey board-certified plastic surgeon, Dr. Barry DiBernardo, offers the newest innovation in breast implants, the IDEAL IMPLANT® Structured Breast Implant, at his practice in Montclair New Jersey. Women in and around the area can benefit from this technology, as well as the extensive experience and superior care provided by Dr. DiBernardo and his staff. Dr. DiBernardo began his career at Cornell University Medical College. He served as a general surgeon for five years at Mount Sinai Medical Center in Miami Beach, Florida before completing a two year residency in Plastic Surgery at the Montefiore Medical Center, Albert Einstein College of Medicine. After completing his residency in 1991, he began serving the community in private practice. Dr. DiBernardo is a highly skilled surgeon and is considered an expert in his field. In addition to working in his private practice, he is a widely published author, an Associate Clinical Professor in Plastic and Reconstructive Surgery, and serves on the board of directors of the Aesthetic Surgery Education and Research Foundation. Publications such as Hemispheres Magazine, NJ Life, New Jersey Monthly, and Castle Connolly Guide have recognized him as one of the top doctors in the United States. 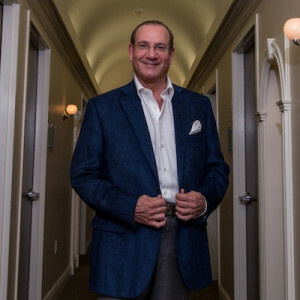 As a surgeon, Dr. DiBernardo strives to be on the forefront of medical innovations to benefit his patients, whether that is breast implants, laser technologies, injectables, or more. Dr. DiBernardo explains, “staying abreast of new developments and technology is crucial and what is important to our patients. This unparalleled commitment led Dr. DiBernardo to become one of the first plastic surgeons in the nation to offer the IDEAL IMPLANT® Structured Breast Implant. He was named an IDEAL IMPLANT Premier Surgeon because of his extensive experience, knowledge, and skill with the implant. Dr. DiBernardo’s patients can enjoy the natural looking results and peace of mind offered by the IDEAL IMPLANT, in addition to the superior care offered by Dr. DiBernardo and his office. “Dr. DiBernardo took his time to answer all my questions thoroughly. He is meticulous and dedicated to giving you the best results. I am completely satisfied with my results and can refer him whole-heartedly. His staff is welcoming and competent, a true team approach for the entire pre and post op experience. You are truly in great hands! "Could not have asked for a better experience!" "Dr. DiBernardo is a true gentleman!" "I am very happy to have chosen Dr. DiBernardo!!" "He is amazing at achieving the natural look!" "My experiences were better than I could ever have imagined!" "I had the best experience with Dr. DiBernardo!" "He is always attentive and straightforward!"